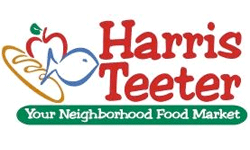 Finally, another round of Harris Teeter Super Doubles! The deals start on Wednesday, 4/15 and run through 4/21. Here’s the first of three lists I will post. This one is mostly regular priced items paired with high value coupons. During Super Doubles, all coupons $2 or less are doubled. You are limited to 20 coupons doubled per day, but it makes for a ton of deals. Remember with the new saved list feature you can save all of these to same shopping list! Tune in Monday for another list of deals in the weekly ad. **Update — I’ve confirmed most of the “if sale continues” list items as of 4/14.